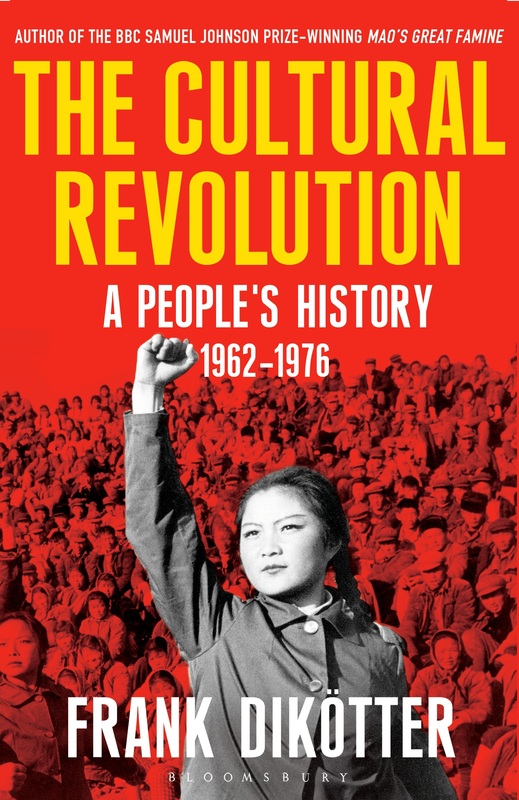 Book Review: The Cultural Revolution by Frank Dikötter. Red, yellow and Grey. Those are the colours that shine out from the cover of The Cultural Revolution: A People’s History by Frank Dikötter. The Green of the People’s army is missing but the Cultural Revolution didn’t start with the regular army. They are fitting colours. Fashion designer Guo Pei was born in 1967, while the revolution was at its height. In an interview with the BBC she said. “The Beijing of my childhood memory is very different from today, It was basically grey. The clothes people wore were mostly grey, there are not many colours. I remember clearly that I wanted to wear a yellow dress when I was a child, but my grandmother told me that normal people are not allowed to wear yellow.” Normal people? What is that one asks. Frank Dikötter has the answer. That young monochrome woman, clenched fist upraised, her face firm and set forwards, who glares confidently out from under the title, was what you might consider one of those normal people. And red was the only colour that mattered (unless it was a hallowed mango,) the red of the armbands of the Red Guards, to whom the girl belongs, who were inflicted on the country by Mao Zedong to destroy all links with the past. It began with Khrushchev really, the day he denounced Stalin. On that day Communism was shaken to its core, and in China, sinking under the weight of state sanctioned famine, it got people thinking. Thoughts soon turned to words, fed by those in authority. Words would play a huge part in the revolution, every shift in gear was lead by a new slogan. These are just some of the slogans that Frank Dikötter highlights as the triggers and perpetuations of the next phase in 20th century China’s unrelenting series of disasters. All of which indeed stem roughly from the fall of the last Emperor and the rise of the nationalists and communists. The subsequent triumph of Mao and the attempt to usher in a new enlightened age, tried to change a centuries old culture and society in three years. “I’m afraid we Chinese never manage to live more than 50 years without some terrible cataclysmic event.” Dr. Tao Tao Liu of Wadham Colledge Oxford told Michael Wood in his recent documentary The Story of China. Mao’s legacy is convoluted. Revered still by many in China, were in some quarters a great nostalgia exists for the Communist days, which is something akin to the western longing for the time depicted in Happy Days and evidenced in the popularity of retro diners. In an interview with the Radio Times, Joanna Lumley, spoke of the nostalgia for the old days she found as a tourist while filming her series on the Trans Siberian Railway. Open mindedness is applaudable from any visitor, or indeed outsider however safe is hardly the word to describe the events of this book. There is a stark and unstable reality when you scratch the surface, Celebrated Mao Biographer and former Red Guard, Jung Chang was at first pro Mao, yet became disillusioned after his death. She said to the Guardian “In the mad rush of high-speed growth people did the most devastating thing – they destroyed nature.” She asked why anyone would want to follow “…the road of the man of was responsible for the deaths of well over 70 million Chinese in peacetime.” Indeed as it turned out the revolution had two faces. Dikötter’s picture of what China went through between 1962 and 1976 shows the calamity in a new and personal light. The Cultural Revolution, and the experiments that preceded it set back China’s economic prosperity, which the world so admires today, decades, and took the future away from millions. It is staggering to learn of the damage done not just to families and individuals but the economy, education system and agriculture. Whole generations have been scarred and affected by it, yet there is a trend in China and in other places across the Far East. India, Japan and China, (not least some countries in the West) to redraw history into more palatable terms, rubbing out cultures, atrocities and crimes to suit new and worrying agendas. Books like this then, though harrowing when they confront you with such blatant acts of inhumanity, told and described in terms of the people who had to endure them are vital. When Mao unleashed the Red Guards, and the country slipped into popular unrest, followed by the intervention of the military and the subsequent distancing from Maoism as the country clawed back its future, he created an indelible chain of misery and memory that Dikötter has tapped into, along with the hitherto restricted party documents, this is the flesh and bones story of the cultural revolution. “The Cultural Revolution is not a mass movement. It is one man with a gun manipulating the people” said Wang Rongfen, a Foreign Language Student, quoted in the book, who saw too much of Nazi Germany in Mao’s China. 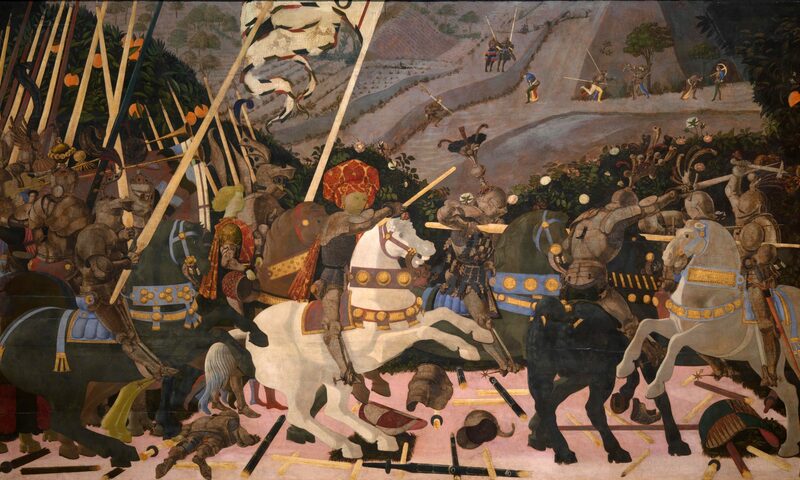 It was a movement of chaotic proportions that bred more chaos. The Red Guards were students, who often in the 20th & 21st centuries have been catalysts of change and upheaval. I guess at the time they figured they were making China great. But the Red Guards really did their country a huge disservice. In the eyes of the world, Mao and his minions did inestimable damage to the reputation of China, not just as a nation but as a people, degrading them to an almost sub human cypher of senseless cruelty. Such brutal inhumanity fostered by the government and perpetrated by students and schoolchildren makes for grim reading. The list of what could get you denounced, imprisoned, murdered or executed was long and strange. The wrong haircut, the wrong clothes, the wrong shoes, the way you spoke, the furniture in your house right down to the colours you wore, such as a yellow dress. Everyone was some kind of specification, an ist, or a devotee of some kind of ism, and the most confusing thing one discovers here is that the tables turned and the current shifted, so that it is hard to keep track of who is on who’s side. It was hard enough at the time to figure out what was happening. 50 years on it is still bewildering and confusing. So many factions coalesced into roughly two large opposing parties, each convinced the other is counter revolutionary and each professing loyalty to Mao, eventually all kept in check by the military but the waters had been muddied. “It all seemed like an act with each one imitating the other” Ken Ling of the Red Guard is quoted as saying, describing a rally for the chairman, and in a way that fits much of the entire movement. Devotion to Mao was the only safe option for those trying to avoid denouncement, family ties were actively attacked in order to replace the chairman as the focus of loyalty. The Cultural Revolution rejected China’s ancient history & sought a new culture. Somehow Mao had managed to convince a whole generation to evince a great loathing for everything China had once been & in doing so almost destroyed its own soul. The longest uninterrupted civilisation in history was brought to the brink of utter ruin. All so Mao could dodge the blame for the failure of the Great Leap Forward, and sweep away those who might denounce him a la Kruschev after he was gone. He used his students to crush the “thinkers” who questioned him, and to cement his brand of communism on the country for ever. The method was simple, destroy the memory of the past and you only have the future, and as Dikötter notes, a common motto in the Soviet Union, appropriated in China was “today is our tomorrow”. Yet there is more here than catastrophe. From a philosophic point of view there is will and struggle. For as always in China, disaster has been met by its people with courage. In this case, after pushing things too far with Britain, and the threat of war with Russia it was realised how weakened the country was. It is heartening to read how traditional ways of life were secretly safeguarded. No less how ordinary people began playing a game of duel identity, and in so doing managed to keep their values and heritage and yet still survive undetected, though never free of fear. Perhaps it is this resilience to constant and frightening change, which alongside the unspeakable horror of the events, shines through this book, that is the most positive testament of the Cultural Revolution. For indeed it was the people who dragged the country back onto the rails when it all went down the spout. As it is put in the Romance of the Three Kingdoms “It is a truth universally acknowledged. That everything long united will fall apart. And everything long divided will come back together again.” Indeed the historian Sima Guang agreed that “the periods of good order and harmony have been short in the history of China”. More simply observed by the Tang Poet Du Fu, “Nation shattered. Mountains and river remain.” Life goes on. This book puts voices into people’s mouths, people who have long been considered mindless automatons, it shows that indeed people were not impressed by the one party state, but were helpless to do anything without being denounced and had to wait for Maoism to implode before they could bury it. Timed to coincide with the 50th anniversary of the beginning of the revolution, this is a timely, dramatic, and enlightening piece of research and an excellent finale to a memorable trilogy that will remain a basis for future scholars and readers for years to come. THIS PROMOTION IS NOW ENDED. If you would like to buy the book, check out my review where you will find a link. Bloomsbury has given me the opportunity to give away two copies of this great new book to lucky readers. If you’d like the get in the running, just leave a comment either here, on YouTube or Twitter and I’ll announce winners on or around the 5th of May when the book is released. “Acclaimed by the Daily Mail as ‘definitive and harrowing’ , this is the final volume of ‘The People’s Trilogy’, begun by the Samuel Johnson prize-winning Mao’s Great Famine. After the economic disaster of the Great Leap Forward that claimed tens of millions of lives between 1958 and 1962, an ageing Mao launched an ambitious scheme to shore up his reputation and eliminate those he viewed as a threat to his legacy. The stated goal of the Cultural Revolution was to purge the country of bourgeois, capitalist elements he claimed were threatening genuine communist ideology. But the Chairman also used the Cultural Revolution to turn on his colleagues, some of them longstanding comrades-in-arms, subjecting them to public humiliation, imprisonment and torture. Young students formed Red Guards, vowing to defend the Chairman to the death, but soon rival factions started fighting each other in the streets with semi-automatic weapons in the name of revolutionary purity. As the country descended into chaos, the military intervened, turning China into a garrison state marked by bloody purges that crushed as many as one in fifty people. When the army itself fell victim to the Cultural Revolution, ordinary people used the political chaos to resurrect the marked and hollow out the party’s ideology. In short, they buried Maoism. In-depth interviews and archival research at last give voice to the people and the complex choices they faced, undermining the picture of conformity that is often understood to have characterised the last years of Mao’s regime. By demonstrating that decollectivisation from below was an unintended consequence of a decade of violent purges and entrenched fear, Frank Dikotter casts China’s most tumultuous era in a wholly new light. So if you have a UK or Ireland address My review of the book will be going up on the 5th, good luck and happy reading.